This smiley isn't actually smiling. It's sick and feverish. 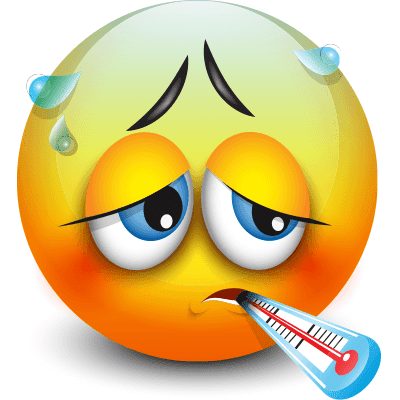 If you are under the weather and suffering with fever and chills, drum up some sympathy and share this expressive emoticon. It only takes a couple moments to share it, and afterwards, you can get back to resting!